The Zap Blast Knuckle Extreme is a super powerful weapon but very easy to use. 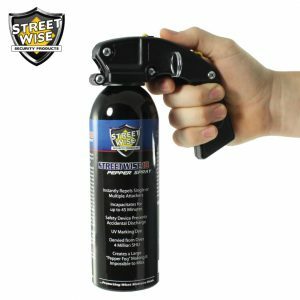 The intimidating sound alone coming from this personal protection weapon is often enough to change the mind of an assailant and reconsider their plans. 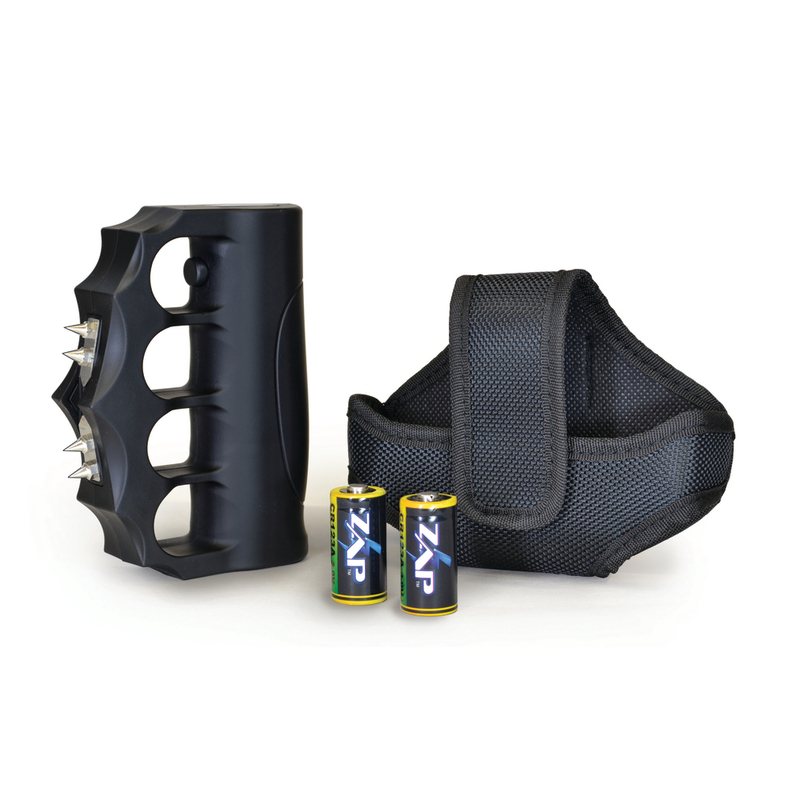 The Zap Blast Knuckle Extreme self-defense stun gun is discrete and easily concealable. If you feel unsafe while out of your home doing your stuff, the Blast Knuckle Extreme is a great option! The Blast Knuckle Extreme is a piece of self-defense equipment that fits comfortably onto your fingers and it’s simple to utilize. Deliver your assailant a penetration of your might by initiating it with a click of a switch. Sometimes, a difficult situation brings you closer to your assailant than what you like it to be. In those circumstances, having a piece of reliable self-defense equipment can greatly help defend yourself or give you precious time for an escape. The Zap Blast Knuckles Extreme self-defense stun gun is here to do just that, carrying a high voltage of nasty surprise. The Blast Knuckles Extreme is a legal self-defense weapon designed carefully for convenient use. You can wear the personal protection weapon just like any other hand mounted security device or wear it like a brass knuckle. When needed, simply activate the stun function. The volt-trashing power of this personal defense weapon is often enough to stop an attacker. If for some reason, you need an additional knock down power, you can use the Blast Knuckle Extreme as a regular brass knuckle to stop an attacker by brute force. The self-defense tool may not be what the average individual thinks of a stun gun device, but that’s the advantage of it – it is a complete surprise to the assailant as well. The attacker may think he has gotten the upper hand by coming close to you, but he does not know that a tap of your knuckle blaster stun device will set him straight. The size of the Blast Knuckle Extreme allows you to easily slip it into your pocket – ready for use anytime you need a high voltage electric gun. The non-slip grip and finger compartments can be made to work with just about any hands from small ones to large ones. The electric stun gun operates on lithium batteries, which are available here. The batteries can provide a high voltage punch that surely brings your attacker to their knees. The Blast Knuckle Extreme is a reliable self-protection weapon. The Blast Knuckle Extreme is designed with your personal safety in mind. In addition to the ease of use, the defense weapon also offers a safety switch, which helps prevent an accidental discharge as you reach into your pocket or utility belt pouch. Since the stun gun completely molded around your hand when used, there’s a less chance of an assailant to grab it away from you. 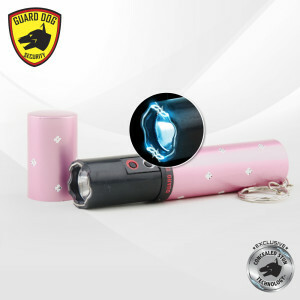 If they come close to you, the high voltage stun gun will give them millions of reasons to leave. 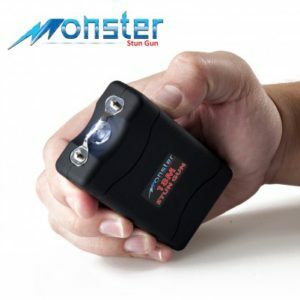 Without a doubt, this stun gun is so effective as self-defense equipment that it would be worth any price, but this can be yours at the most reasonable price around right here. Take advantage of our limited time low price offer now and buy this amazing self-defense stun gun today! 950,000 volts seems a little strong, is it necessary? Yes. Theoretically, higher voltage means shorter time to immobilize an attacker. In other words, less confrontation time. You would want to have the highest power available if possible. 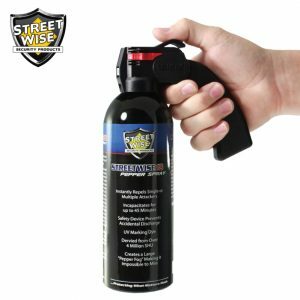 Would 950,000 volt stun gun cause more damage than other smaller voltage stun guns? 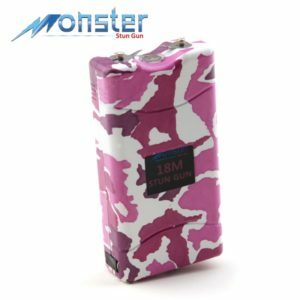 No, even though the voltage is higher, the current is still very low (about 3-milliamp amperage, just like other models) which makes this stun gun just as less lethal as other lower voltage models. Yes, I would strongly recommend this item to anyone who is always on the go. 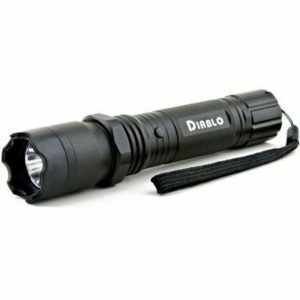 It has the highest voltage any stun gun can offer. It is prefect for jogger.